Build your Online Brand Today. 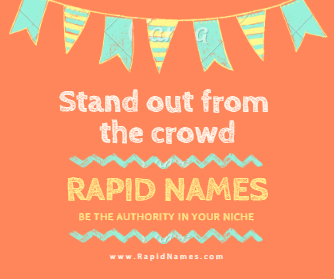 Be the authority in your niche. Right Domain will strengthens your brand power many times over! Get a premium domain name without the premium price tag. Find a domain at Ever Smile Names and decide to buy or rent it. Submit your best offer for our consideration. Learn more. Your offer may be accepted, countered or declined within 24 hours. Negotiations can take as little as one day or up to a few weeks. Learn more. Once you have agreed on the price, Ever Smile Names will facilitate the contract, payment and transfer or use of the domain name. Learn more. Copyright © 2019 Ever Smile Names All rights reserved.